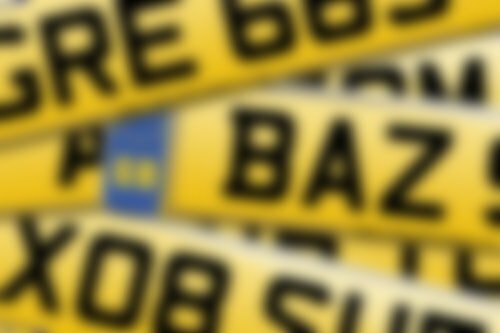 20 Reg Number Plate Release - Registrations Coming Very Soon, Register Your Interest Now! The much anticipated '20' series is being released this coming November and it is a rare opportunity for you to pick up a very special number plate. There will be close to 8,000,000 new registrations added to circulation, with many names and words becoming available to buy for the very first time. For further details, the latest availability and pricing information, or to place an order for your chosen 20 registration with National Numbers, please call 01642 363738 or search below. 20 series registrations can only be assigned to vehicles registered on or after March 2020. If you don't have a vehicle to put it on you can keep the number plate on a retention document until you are ready. These new reg plates can only be assigned to brand new cars registered on or after March 2020, and that means there will be several months before these vehicles even become available (the new number plates become available in advance of the vehicles), so the plates will first be supplied on certificates with an initial lifespan of 10 years. If, however, you are lucky enough to be purchasing a brand new car when the 20 new registration plate cars hit the road in March, then you can register your new number plate straight to the vehicle when you pick it up!